Sadly, my state, California is 41 out of 50 states… Some blame Proposition 13 which limits the increase in Property Tax (which funds public education) as the cause…but I think there are other problems. In the LA/OC areas, the highest ranking schools that you can attend just by living in the school district starts from #165 Palos Verdes Peninsula High (or “Pen Hi”). All the schools ranking above it is a charter/magnet/special criteria school which means your children will have to meet certain academic criteria. The two schools in Palos Verdes ranks 165 and 187. The other good school district around here is the Irvine school districts where they rank from 278 to 310–still a very respectable ranking. Go Panthers! The latest South Bay school ranking can be seen here. The ranking for other schools can be seen here. Here is the latest school grading report. Other schools can be seen here. I just noticed it’s been over a year since my last blog. It’s been a busy year. On the personal side, my band “The Rooftops” which is a Beatles Tribute Band where I play the part of George Harrison perfomed at the “Japan Recovery Live” to aid in the recovery effort from Japan’s Earthquake Tsunami damage. I also joined a band called “Three of Us” in their live at the Honda Museum (which is a secret museum of Honda cars and bikes) and performed a wide range of music from Elvis, Roy Orbisson, Mama’s and Papa’s, Simon and Garfunkle, to the Beatles. This is my “life” part of my “work-life” balance. What do you do for fun? On the consulting front, I founded MK North America, Inc., which is a limousine company catering to the needs of the Japanese community in Southern California and is a subsidiary of MK Taxi Group in Japan–one of Japan’s largest taxi company. 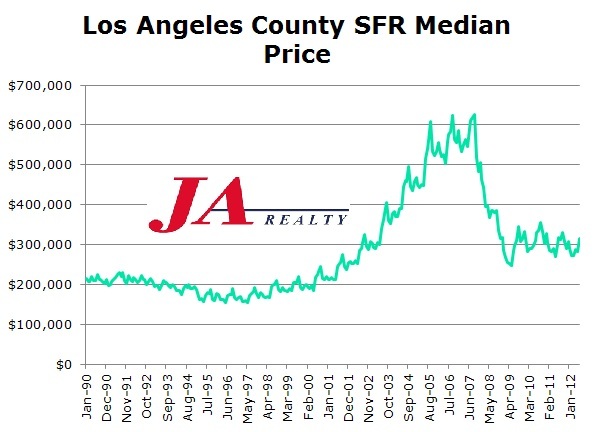 As can be seen from the chart above, after bottoming out in the Spring of 2009, the LA market has bounced off the bottom but has been generally going sideways. The market seems to be divided into two segments: nice houses in desirable areas which are priced right and seem to sell within a day of two of being listed (South and West Torrance, parts of Huntington Beach), and those with a bit of blemish that seems to just sit unsold for months after months. We have three of our clients fighting for these desirable houses in good areas, and it ain’t easy. One thing you must do it so go view the house immediately after it lists and put in a decent offer immediately. If you snooze, you lose! Also, the interest rate keeps going down and it now seems that it has finally hit the bottom. At 30 year fixed rate at 3.66%, and the prime rate holding at 3.50%, how much lower can it go? As a Real Estate Agents, it seems that the two most frequent question I receive are about the quality of the school system and the safety of area. This blog is about safety. Discussing safety is a difficult task. When asked "which area is the safest" it’s easy to list up Irvine, Palos Verdes, Manhattan/Hermosa/Redondo Beach, and Torrance as safe area to live. When asked which are the more dangerous areas the answer is "Compton and South Central LA" and if you want to buy in that area, please go find another agent as I value my life and don’t want it on my conscience that I sold a property in areas where I myself consider dangerous. When the "safe areas" listed above are too expensive and the buyer cannot get in those area, then it becomes a murky area of which area is safe enough. As one indicator, the table below is an excerpt of the FBI Uniform Crime Statistics for 2009. It is the collection of data from US cities with over 100,000 population. There are 272 cities listed on this statistics so any city better than 135th can be considered "safer than average?" The table below is only for California cities. Cities in greater Los Angeles and Orange Counties are listed in green. The table shows the Violent Crime Safety Rating (crimes against persons), Property Crimes (crimes against objects), and the Total Crime. Total Crime ranking is skewed with the Property Crimes as there are easily over 10 times Property Crimes than Violent Crimes. Looking at the City of Berkeley which ranks 242th nationwide, I didn’t feel that the city was dangerous when I attended collage there (yes, that was decades ago…). In comparison, Oakland felt more dangerous but ranks 230th which is better than Berkeley. But you need to look at the Violent Crime column where Oakland is 267th which will qualify it as the 5th most dangerous city in the US versus 152nd for Berkeley which makes a bit worse than average. There are nice areas in Oakland in the hills and it doesn’t mean Oakland is uniformly dangerous. 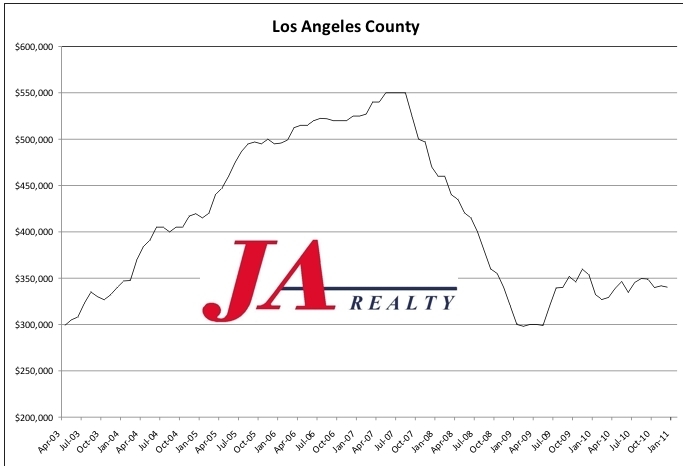 The same goes to City of Los Angeles which also includes areas such as Bel Aire, Westwood, and Brentwood. So, looking at this table, Irvine is unquestionably safe ranking 1st in Safety for Violent and Property crimes. Then follows Thousand Oaks, City of Orange, Torrance, Garden Grove, Huntington Beach, Anaheim, Burbank, Pasadena, Fullerton, and Costa Mesa. I skipped Santa Ana, Norwalk, and Los Angeles as they ranked pretty low on the Violent Crime ranking.